Thanks to the awesome Simon of http://www.simonphipps.com/ , here is a lovely digitized version of my Holdo pattern!!!! He took my scans below and got them to the correct size, then digitized the lines, which I was then able to plop into Inkscape and export into tiles in a printable PDF pattern! The above file is for 8 1/2 x 11" paper, and here is the A4 version. ***5/28/2018 edit*** the fold mark is missing from the "neck over" piece! Also, here are some pictures to help you see where the neck bits line up. 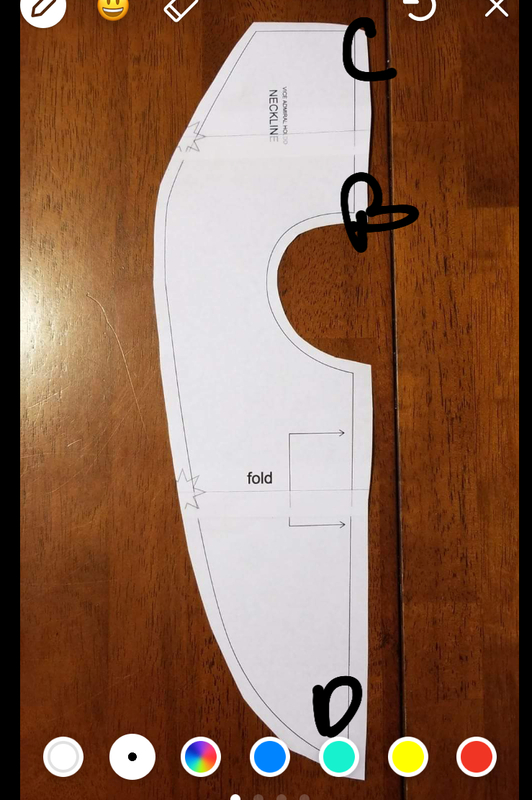 A, B, and C on the Over piece end up becoming a straight line. As I wait to hear on my Rebel Legion submission, I figured I'd share my pattern! HOPEFULLY these patterns aren't distorted. I lined them up on a quilting cutting mat and "scanned" them using Notes on my iPhone. That allows you to select the corners and should, in theory, provide a final version that isn't distorted. Please let me know how this actually worked if you try this out! 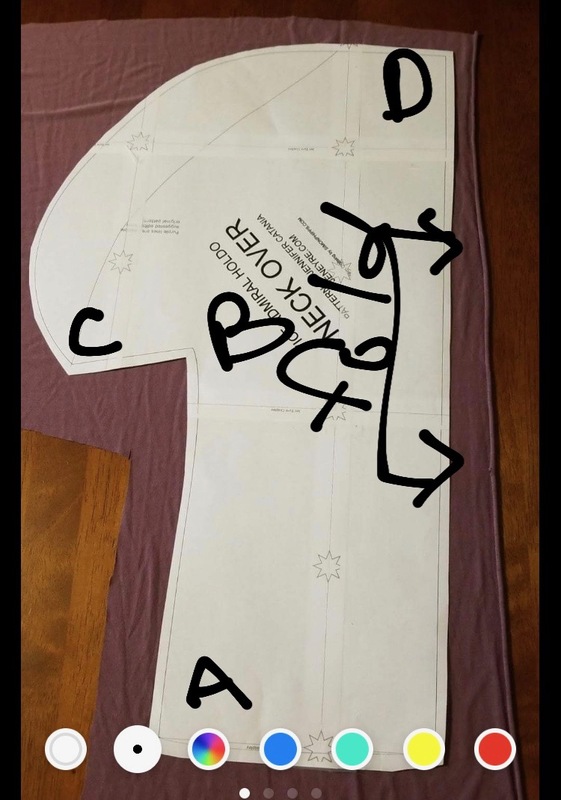 Here's an interesting option for resizing patterns https://www.rapidresizer.com/home/2012/10/1/how-to-enlarge-a-pattern-by-percent-or-scale . They have this free calculator tool, but also have a paid version that will tile your enlargement. If you google "enlarge pattern" you'll find tons of tutorials. I usually scan the pattern and import it into Inkscape (a free Illustrator type program). I have a paid extension , http://www.titchythreads.com/tools/inkscape_pdf_generator that I use to tile and export patterns. If I had the time, I could import all my scanned pieces, size them up to the correct size, and export the pattern that way. I just have too much on my plate for that right now! 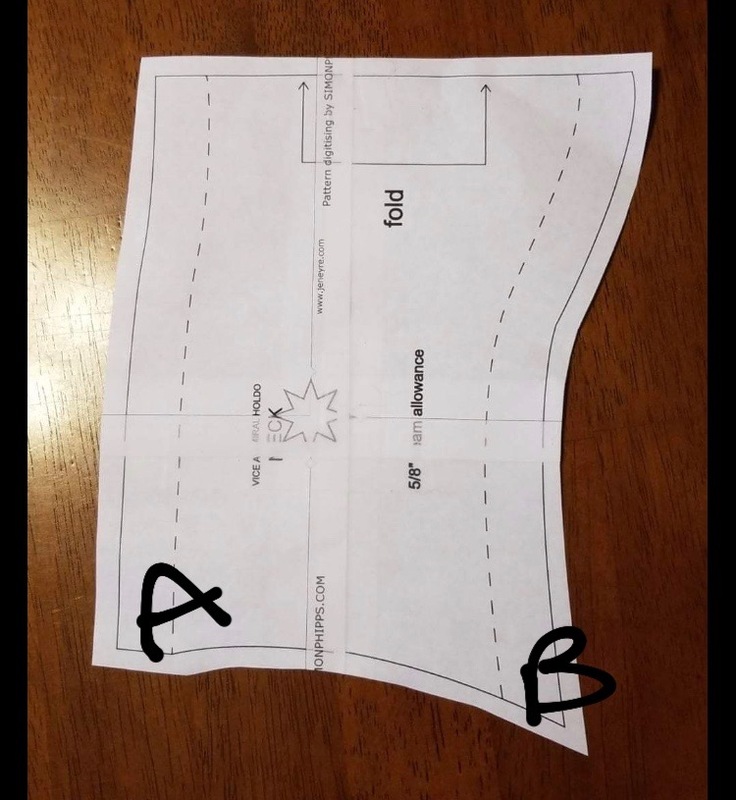 If you find my pattern helpful, please post pictures and tag me! ( @JenEyreCosplay on instagram, twitter, Facebook, or Vero) I love knowing I was able to help!